Not a lot! Even the magnolia which usually is out in full force mid April is not showing signs of rapture! But a welcome sight (who seems oblivious to the cold) has arrived in my back yard! Hello, old friend! Come with me to enjoy other gardeners’ blooms at May Dreams Gardens. 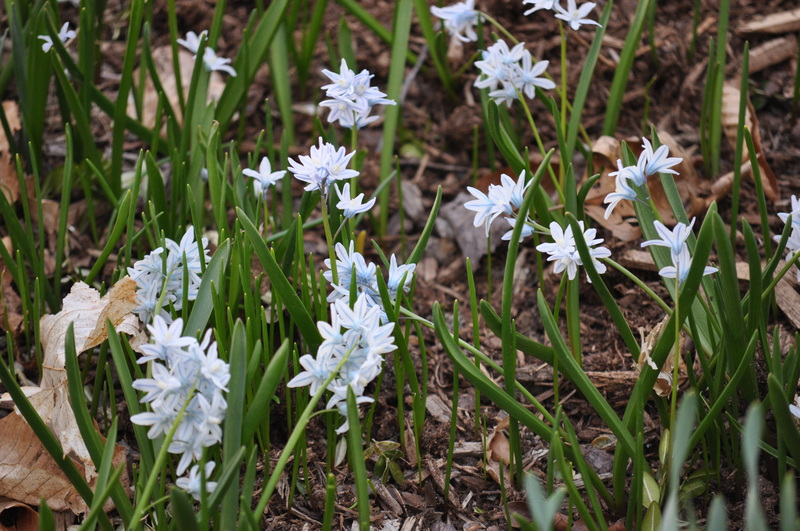 This is a great way to see what is blooming in other gardeners’ back yards! 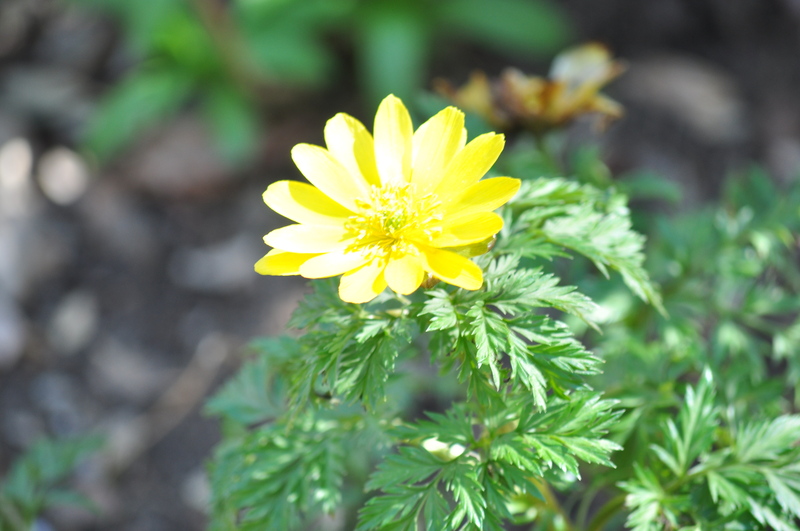 This entry was posted in Uncategorized and tagged April blooms. Bookmark the permalink. You’re ahead of me! 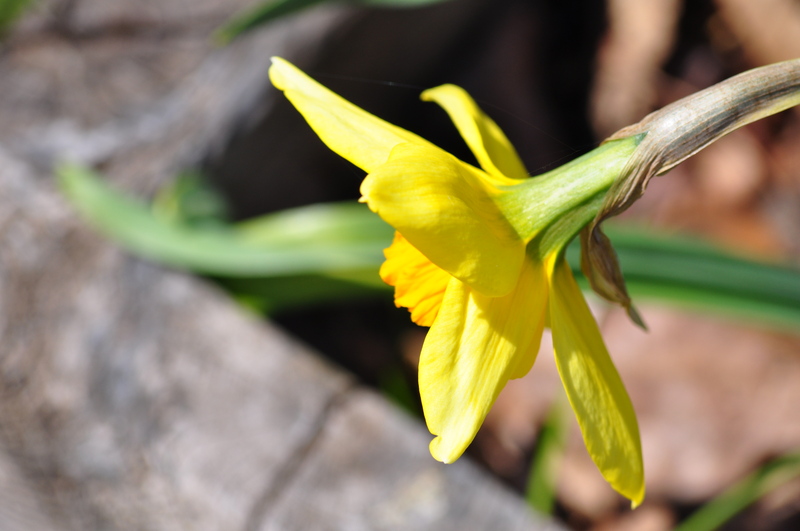 Our forsythia and narcissi have not yet bloomed. Is that a heron? Spring has arrived at last in the UK , blossom and buds are busting open with our higher temperatures, it is wonderful to see all the flowers at last. Hope your temperatures soon rise! The blooms sure are coming slow. I guess it makes us appreciate each one. 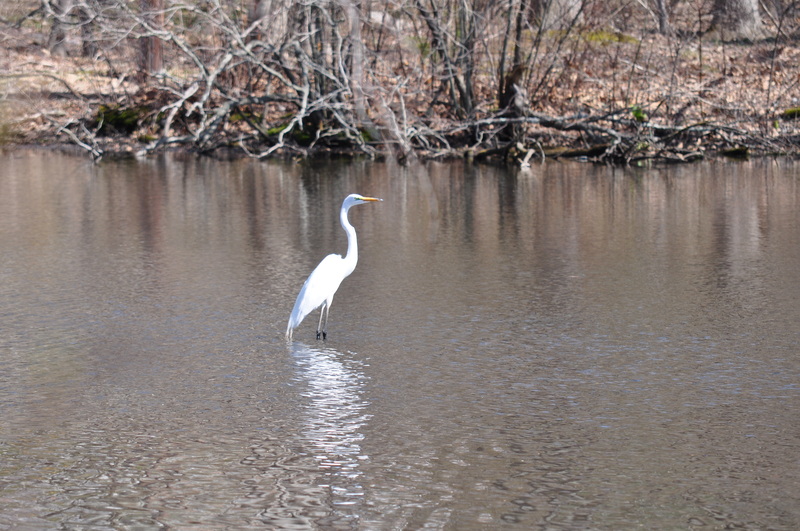 I love the egret – what a thrill it must be to have him as a neighbor. Have the willows rooted? My peas are up! Pretty yellows! 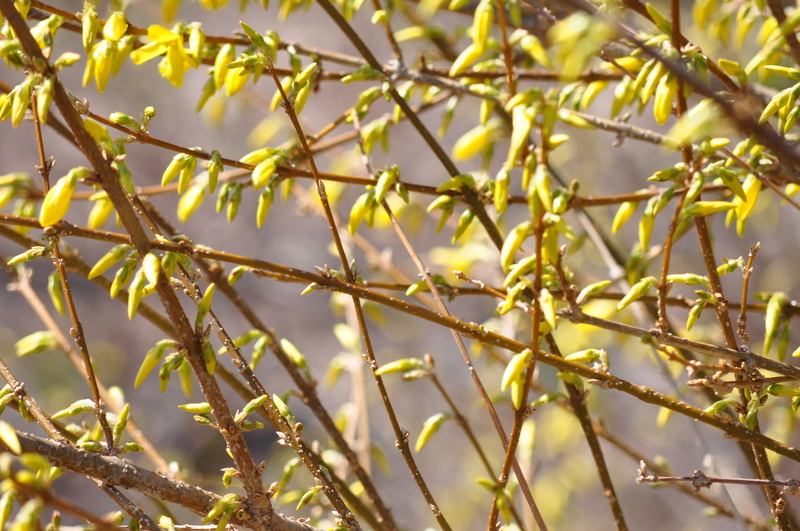 I don’t think I’ve ever seen a prettier picture of a forsythia! Oh my word Anita! I would not like to see snow in April, but then I would not like to live in a desert either, so there you have it. There are some things that come with the territory! I must tell you – the beautiful landscape in your mind will make even a snowfall in APril something special to express. You are one of the best bloggers!! !